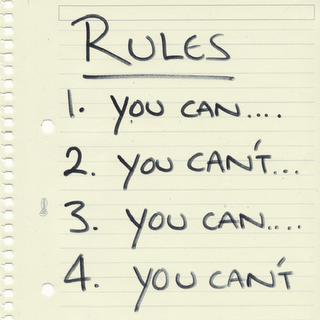 In any business, there are “rules”—traditions and expectations that most accept as true. The oil and gas industry is full of them. That said, many of these rules are probably due for some questioning (if not a little breaking). All too often, businesses plod along holding onto long-held views and calling them “rules.” However, many times these rules can be reclassified simply as bad habits. Bad habits make for all sorts of struggles in business and in life. But because these habits are mistaken for rules, most people don’t realize they can be changed. Recently, I stumbled across some interesting insight from Hiroshi Mikitani, CEO of Rakuten (Japan’s biggest e-retailer) and #23 on the Forbe’s “Richest in Tech” List. Mikitani explains that when building a company, every system you set up eventually breaks. Pretty obvious, right? 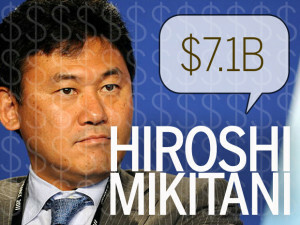 That said, Mikitani goes on to say that you can actually predict when your business will begin to break down. Essentially, Mikitani claims that every system you put into place will need to change at roughly every 3rd and 10th steps. For example, as an oil and gas operator, when you go from one employee to three, it takes a bit of adjustment. However, eventually you ante up and make the jump from 3 to 10, then from 10 to 30. When it’s just you, you know what you’re doing. But as you continue to grow you must bring on staff, a production supervisor, and add more pumpers to maintain your production assets. What I found even more curious was applying this same rule of 3 and 10 to our well count (i.e., the amount of wells we operate). Nearly every operator I’ve had the pleasure to know generally falls into a specific “step” or size, with 3 wells, 10, 30, 100, 300, or 1000 under management. Many independents enjoy running a small shop and find that about 30 wells is all they can (personally) manage before hiring beyond their current set-up of a couple of pumpers and an outside consultant. The next rung up from 30 wells tends to hover around 100. An active operator such as this will generally have 6 to 8 pumpers tending these wells, an in-house engineer, and support staff. New wells will be drilled. Old wells will be plugged and abandoned. But, 100 wells (give or take a handful) is generally where they’ll remain. Why? Because it’s what they know. It’s what their rules permit. And, it’s what they’re comfortable with. To break beyond a step, an operator must reorganize itself and its systems (i.e., break rules). Generally, as the market permits, they’re able to grow unhampered until they hit that next step. The exception to the rule is when you see operators receive a large influx of capital from outside investors. Basically, this enables them to skip steps. Essentially, what these operators find is that they’re bumping up against Mikitani’s law. Although they’re operating 300 wells, they’re still relying on the same systems that were set up when they were managing 30. If you haven’t arrived at one of these milestones yet, just ask your predecessors who have. Ask what happened when they reached 100, 300, or even the 1000 well mark. They’ll tell you that at every one of these steps, everything breaks. Everything: your communication systems, your payroll, your accounting. Usually, operators end up adding people to the process. And this is where we get into trouble. Understand, we must refine rules and processes before adding people. Adding people to a refined process multiplies output; however, using people as a fix to a poor process multiplies your problems. Basically, we don’t add people to broken systems. People are expensive. If Operator A manages 100 wells with a staff of five people and Operator B manages 100 wells with a staff of twelve—all things being equal—Operator A wins. His investors win. His employees win. And, the company will carry on in nearly any environment. When operators are wondering why they can’t move beyond a particular well count, or why their operating costs are so high, it’s because they’ve skipped one of these steps without reevaluating their processes. Those who were able to make it to the next step in good times (or survive in bad times), were the ones who were able to successfully revisit their rules and habits and make the necessary adjustments. There’s nothing magic about 3 and 10, but we see it all the time. Every time you approach one of these milestones, take time to review your processes before chasing that next well! Do you think Mikitani’s Rule can be applied to oil & gas? If so, where else have you seen the rule of “3 and 10” play out? If not, why not? Leave your response in the comments below!